Since his retirement, Leonard Freedman has taught a seminar on political satire in UCLA’s undergraduate Honors Collegium. 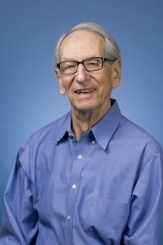 He graduated from the London School of Economics after serving in the British army in the late stages of World War II, then came to the United States for graduate study at UCLA. Freedman then pursued a joint career as Professor of Political Science -- specializing in American and British politics -- and as Dean of UCLA Extension. His publications have included: The Offensive Art: Political Satire and its Censorship Around the World From Beerbohm to Borat (2009); Politics and Policy in Britain (1997); Quality in Continuing Education: Principles, Practices and Standards for Colleges and Universities (1987); and, Public Housing: The Politics of Poverty (1969). Power and Politics in America (7th edition, 2000).